Customer average is a useful metric in determining the underlying direction of your sales. Sales comprises two elements, the customer average and the number of customers. Accordingly, sales equals customer average x customer numbers. Looking at sales numbers in isolation can be misleading and could hide negative trends. Sales numbers should be broken down into their core metrics. Customer average will reveal whether there is a positive or negative direction in the average dollars spent per customer. For instance sales of $10,000 for each of three weeks could reveal increasing customer numbers yet a decline in their average spend, possibly highlighting weaknesses in various aspects of product delivery. The average dollar spend per customer reflects the effectiveness of both visual and verbal marketing to maximise the amount of revenue obtained per customer. It could also reflect product mix performance and can provide a sound measure to the effectiveness of direct marketing strategies designed to increase per unit customer sales. In multi-store situations, benchmarking the Customer Average metric from store to store will highlight differences in best practice. Those generating higher Customer Averages can leverage those dynamics into other stores. Consider customer average and customer numbers when developing your sales metrics. 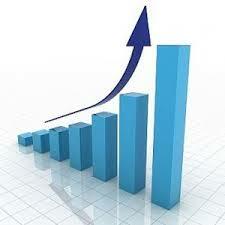 These key performance indicators will provide additional insight beyond the routine sales numbers we generally view. Ezzykpi can effectively track these numbers, so real time decision making becomes an essential part of your management reporting. Try your free trial now.